Three encrypted newspaper advertisements from 1879 are still unsolved. Can you decipher them? 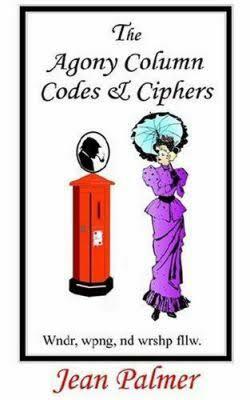 The book The Agony Column Codes & Ciphers by Jean Palmer (i.e., Tony Gaffney, a reader of this blog) is a treasure trove for everybody interested in old cryptograms. Tony’s book presents over a thousand encrypted newspaper advertisements from Victorian England. 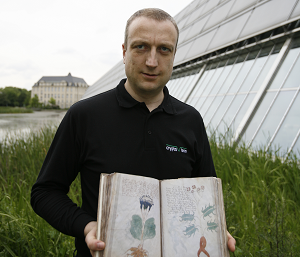 Tony, who is an excellent codebreaker, has long solved most of these cryptograms, but some still wait to be deciphered. On Klausis Krypto Kolumne I have published many an article about these. Many of the encrypted ads covered in Tony’s book contain love messages. Others were placed by business people in order to send news to partners and customers. Ignatius Pollaky, a private investigator of the Victorian era, communicated via newspaper ads, too. As far as I know, Pollaky’s encrypted messages have never been broken. FACT OR FICTION? – T E T S D Y N T R L N S N M D E M Y G M D E E R M E M Y M C N M N Y S L D R Y M T N E.
FACT or FICTION? – A simple impossibility. FACT or FICTION: A P C W M B B J M B J G W W R C W H K W R C W R W G E T W F H W E S B W J H B O A W B. F J R M. H L F.
Three of these four advertisements are encrypted, one is in the clear. The fourth message repeats almost half of the third one. This frequency distribution doesn’t look exactly like English language (e.g., there is no letter in the English language that has a frequency of over 15 percent). However, considering that we have only little text to analyze and that there are some repetitions, a one-to-one substitution (MASC) still seems possible. Of course, there is no guarantee that we deal with English plaintext – the language might as well be French or German. As the second advertisement of this series is not encrypted, it might contain the key used to encipher the other three. If you can find out more about these newspaper advertisements, please let me know. Further reading: Who can decipher this Pitman letter from the US Civil War? 1) T E T S D Y N T R L N S N M D E M Y G M D E E R M E M Y M C N M N Y S L D R Y M T N E.
2) A P C W M B B J M B J G W W R C W H K W R C W R W G E T W F H W E S B W J H B O A W B. F J R M. H L F.
They don’t appear to use the same substitution. The periods in #2 may indicate word-division. Very tempting to read the finish of #2 as WITH HIM or WITH HER. However, then we’d have a polyalphabet because of the “H”. Afterthought to the above: if the end of #2 is WITH HIM or WITH HER, we could be looking at a partial substitution, the rule being that one letter of each word remains plain. Following my previous intuition, I suggest for beginning of #1 HE HAD […], and end of #2 […] WAS GOING WITH HER. – Could this one actually be EASY for a change??? In #1, total 43, there are 10 different letters: C , D , E , L , M , N , R , S , T , Y . In #2, total 52, there are 15 different letters: A , B , C , E , F , G , H , K , I , l , M , O , P , R , S , W .
“[…] As the sun began to steal in upon the boys, drowsiness came over them, and they went out on the sandbar and lay down to sleep. They got scorched out by and by, and drearily set about getting breakfast. After the meal they felt rusty, and stiff–jointed, and a little homesick once more. Tom saw the signs, and fell to cheering up the pirates as well as he could. But they cared nothing for marbles, or circus, or swimming, or anything. He reminded them of the imposing secret, and raised a ray of cheer. While it lasted, he got them interested in a new device. This was to knock off being pirates, for a while, and be Indians for a change. They were attracted by this idea; so it was not long before they were stripped, and striped from head to heel with black mud, like so many zebras—all of them chiefs, of course—and then they went tearing through the woods to attack an English settlement. By and by they separated into three hostile tribes, and darted upon each other from ambush with dreadful war–whoops, and killed and scalped each other by thousands. It was a gory day. Consequently it was an extremely satisfactory one. They assembled in camp toward supper–time, hungry and happy; but now a difficulty arose—hostile Indians could not break the bread of hospitality together without first making peace, and this was A SIMPLE IMPOSSIBILITY without smoking a pipe of peace. There was no other process that ever they had heard of. Two of the savages almost wished they had remained pirates. However, there was no other way; so with such show of cheerfulness as they could muster they called for the pipe and took their whiff as it passed, in due form. I never cared for Twain’s ponderous “humor”. But he was a cat-man: “When a man loves cats, I am his friend and comrade, without further introduction.” I subscribe to that! FACT OR FICTION ?–T E T S D Y N T R L N S N M D E M Y G M D E E R M E M Y M C N M N Y S L D R Y M T N E.
FACT or FICTION ?–A simple impossibility. FACT or FICTION ?–A P C W M B B I M B I G W W R C W H K W R C W R W G E T W F H W E S B W I H B O A W B F I R G I S. See advertisement under same heading in “The Standard” of 25th April. FACT or FICTION ?–A P C W M B B J M B J G W W R C W H K W R C W R W G E T W F H W E S B W J H B O A W B. F J R M. H L F.
An additional find: the ad from 25 March 1879 also appears in the “Standard” of the following day, 26 March, with unchanged letters. Perhaps a mistake by the “Standard” to run the same ad twice on consecutive days? Can you decipher this postcard from Santa Monica? 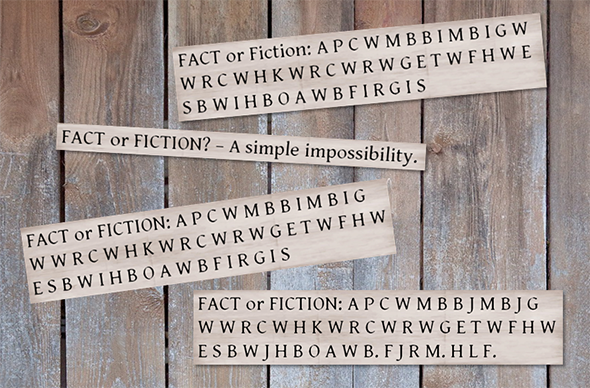 Playfair cipher: Is it breakable, if the message has only 30 letters?